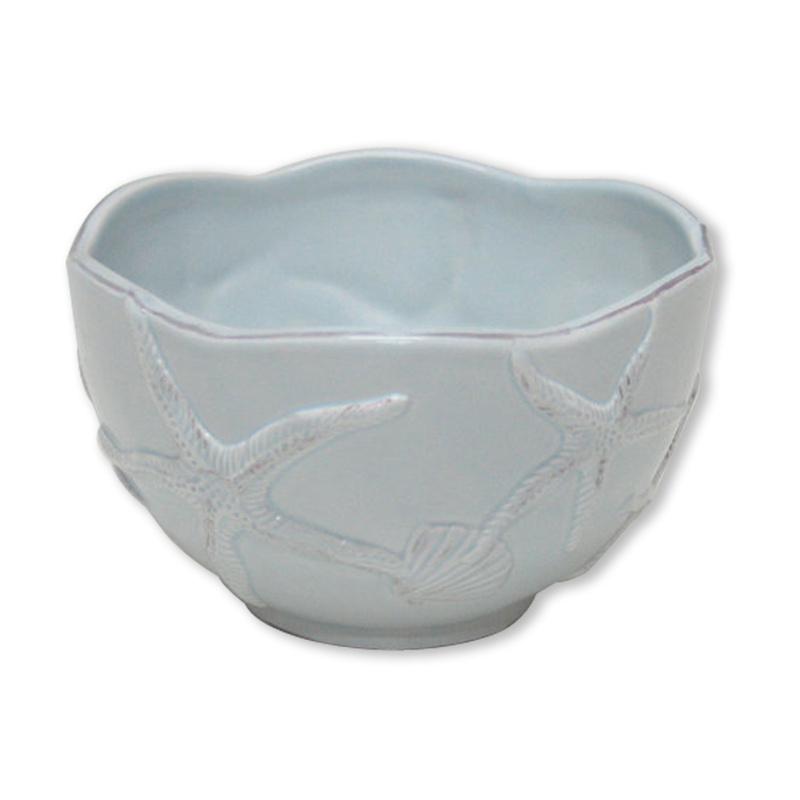 The Blue Starfish Small Bowls - Set of 2 brings coastal style to your dining room with an elegant raised pale blue starfish design. This coastal dinnerware ships from the manufacturer. Allow 2 weeks. Cannot express ship. For more pieces, we ask you to take the time to look through our complete variety of coastal dinnerware at Bella Coastal Decor today.